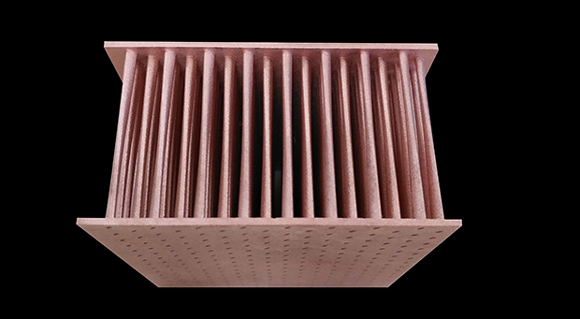 Farsoon Technologies, headquartered in Changsha, China, has announced the development of a pure copper Additive Manufacturing process using the company’s metal laser sintering systems. Farsoon Technologies, headquartered in Changsha, China, has announced the development of a pure copper Additive Manufacturing process using the company’s metal laser sintering systems. Copper is a soft, malleable, and ductile metal with very high thermal and electrical conductivity, which is widely used in industries such as aerospace, automotive, shipbuilding, electronics. However, the vast majority of additive copper is currently based on alloys of copper, not the pure metal. Many applications can only be unlocked with low-oxygen, pure copper. Pure copper has a high laser reflectance rate of over 90% with standard laser based AM systems and it is difficult for the laser to continuously and regularly melt pure copper powder, which leads to issues such as interface failure and thermal cracking. In 2017, Farsoon’s Application team joined with industrial partners to begin developing an advanced process to produce pure copper additive components. The team conducted a large number of tests and obtained the appropriate scanning strategies and process parameters for pure copper. These parameters minimise the adverse effects of high laser reflectance of pure copper, in order to achieve the perfect part density, an optimised AM process, and excellent performance. One of the parts resulting from this collaboration was a pure copper heat exchanger with complex spiral geometry and a wall thickness of only 0.5 mm. This part was printed as a single piece, resulting in a far more efficient heat exchanger than that of one made by a traditional brazing process. The lightweight design reduced weight by over 30% and cost by 35%. The developed process parameters work with the full range of Farsoon metal AM systems, resulting in high-quality, cost-effective pure copper processing.